Combine the shrimp with all ingredients except the bell peppers and onion and toss to coat. 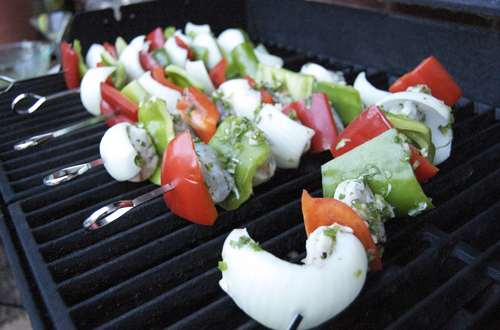 Let the shrimp marinate for about 20 minutes, then place on skewers with slices of onions, red bell peppers and green bell peppers. 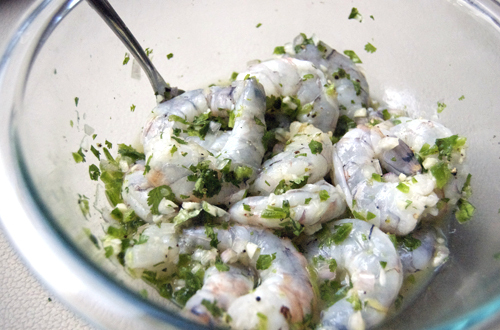 Grill over medium heat until shrimp are cooked through (about 8-10 minutes), flipping half way through. 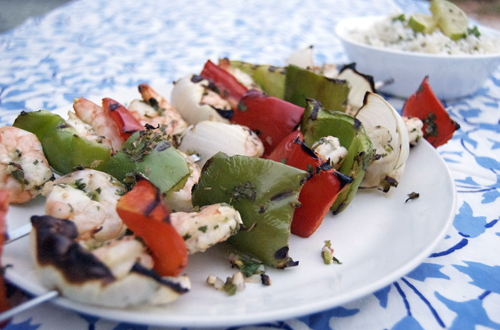 Another tasty way to grill shrimp. Something I do a lot of.